Have you ever been in a position of wanting to "get back" at somebody you think has behaved inexcusably? 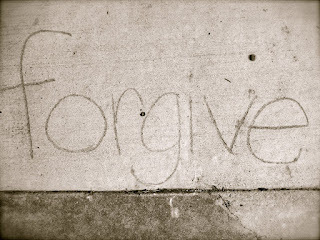 Have you ever felt a struggle within to forgive another person? Do you wrestle with a spirit of unforgiveness - fighting against it - or do you succumb to bitterness and shut out those who've wounded you or others? In a classic work by C.S. Lewis called The Weight of Glory, Lewis shows that forgiveness of others is the irrefutable sign of God's mercy within you. The brilliance of Lewis' work is that he shows how it's easy for a Christian to say "I forgive," but how forgiveness isn't seen in one's words; it's seen in the way one treats another human being. In a generation when many get their news and information from Twitter's 140 character bites, Lewis's works are rarely read, much less understood. With this in mind, I am reducing four profound statements by Lewis' on the subject of forgiveness to 140 characters of less. I may tweet them at my leisure, but I must live them for my Christianity to be real. Tweet: When I'm thinking about getting even with someone who's hurt me, I'm forgetting the grace and ease with which God has forgiven me. Tweet: Spending more time creating and accepting excuses for the sins of others than for my own sins is a sign I'm on the path of forgiveness. 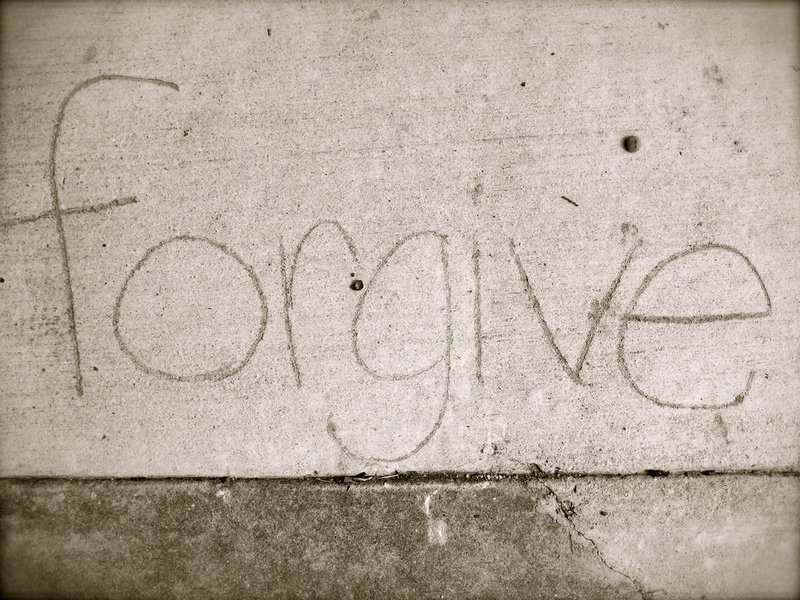 Tweet: To be a Christian means to forgive the inexcusable, because God has forgiven the inexcusable in me. Tweet: My refusal to forgive evidences my rejection by God, for my forgiveness of others is the irrefutable sign of His forgiveness of me. Edit: The following article is a collection of views obtained from reading Luther, Stott, Hughes and other conservative evangelicals. It is offered as a caution to those with a tendency for dogmatism regarding last things. Every Bible-believing Christian says, "Yes, there is a resurrection of the dead." Yet that same Christian will most likely tell you that their loved one is already in heaven and is enjoying life, waiting for us to join them in heaven. Dead Christians who already enjoy the fruits of the resurrected life before the resurrection, is like a team crowned Super Bowl champion before the game is even played. Anachronic anastasis, the title of this article, means a discrepancy in the timing of the resurrection. When the timing of the resurrection is missed, the power of the resurrection is lost. "Do not marvel this, for an hour is coming when all who are in the graves will hear My voice and come out, those who did good to the resurrection (anastasis) of life, and those who did evil to the resurrection (anastasis) of judgment" (John 5:28-29). Most Christians would say the general resurrection that Jesus describes in the above two verses has not yet happened (and I would agree). Yet most Christians also believe that dead Christians are now in heaven enjoying life? If the dead have not yet been raised, how can those who die in Christ enjoy "standing up again" - the literal meaning of anastasis - if they still remain in their graves? Martin Luther, the Great Reformer who gave us the 95 Theses and helped restore the biblical truth of justification by grace through faith, would not be comfortable with modern evangelical funerals. As he would listen to pastors extol the blessings that the departed are now enjoying, he would think that these pastors have missed the timing of the resurrected life. Luther, with a greater emphasis on the resurrection, preferred to concentrate on the scriptural metaphor of sleep in reference to death. For just as one who falls asleep and reaches morning unexpectedly when he awakes, without knowing what has happened to him, Luther believed, "we shall suddenly rise on the last day without knowing how we have come into death and through death." At death, ''We shall sleep, until He comes and knocks on the little grave and says, 'Doctor Martin, get up! Then I shall rise in a moment, and be with Him forever.'" Why do contemporary evangelical Christians, contrary to Luther, believe that people who die continue to live uninterrupted, without yet experiencing Christ's promise to raise the dead (anastasis)? Answer: Because many Christians assume (wrongly) that the Bible teaches man is naturally and inherently immortal. Immortal - "Exempt from death; never to die; never-ending; perpetual" - Johnson's Dictionary. Immortality by definition means the state or quality of not being subject to death. The translators of Scripture used the word immortality to translate the Greek terms athanasia, which means "deathlessness," and aphtharsia, which means "incorruptibility." Do you remember the birthday candles placed on your cake as a practical joke, candles that no matter how hard you tried to blow them out, you couldn't extinguish them? Christians who believe in natural immortality believe death can't extinguish life. But Luther and other evangelicals have believed the Scriptures teach differently. They see the Bible to teach clearly that God alone has immortality (1 Timothy 6:16). They feel the Scriptures declare that immortality is something that is to be sought (Romans 2:7). Immortality seems to be brought to man by the Good News of Jesus Christ appearance on earth (2 Timothy 1:10). Scripture seems to teach that a man can gain immortality when he receives the gift of eternal life (Romans 6:23). And finally, Luther and others believed that immortality is put on at the last trumpet when the resurrection (anastasis) occurs for those who have died with faith in Christ (1 Cor. 15:53). Not so, say other Christians. God made man naturally and inherently immortal. Therefore, a man must live forever, not only beyond death but also beyond the second death, for ever and ever - because you can't snuff out a man's life. Martin Luther believed the Scriptures taught immortality was conditional, and could only be received as a gift from God, and that it was not natural to any man, even Adam and Eve in the beginning. The "Tree of Life" which gave mortal man immortality was eaten of daily, but after Adam and Eve sinned, they were barred from the "Tree of Life" lest "he reach out his hand and take from the tree of life and eat, and live forever" (Genesis 3:22). Luther felt that if a Christian believes man is inherently immortal, then you believe man is exempt from death, just as God is exempt from death. And, of course, if a man dies but continues to live, then he has not actually died. "I have great respect for long standing tradition which claims to be a true interpretation of Scripture, and do not lightly set it aside, and partly because the unity of the world-wide evangelical constituency has always meant much to me." (Evangelical Essentials, Stott, p. 319). In other words, though Stott believed the Scriptures teach conditional immortality, he refrained from writing a great deal on his views because modern evangelicals almost universally believe in inherent immortality, and Stott did not wish to upset the proverbial apple-cart. "It would be hard to imagine a concept more confusing than that of death which means existing endlessly without the power of dying." Wenham also said Dr. Hughes wrote him a letter where he stated he had '"long been of this judgment and common Christian candour compelled me to state my position" in writing. "...That they shall be destroyed forever" (Psalm 42:7). "The Scriptures attach greatly more importance to the glorious fact of a resurrection from the dead, than the majority of evangelical Christians of the present day are wont to do...The Scriptures nowhere represent any of the human race as consciously existent in a perfectly disembodied state, as naked spirits ... there is no intimation (in Scripture) of a disembodied state." (pages 128-129). "The Scriptures speak a thousand times of God's being immortal, but never of man's immortality" (p. 21). When one reads the gospels and the writings of the early apostles, the emphasis of the Good News was on the resurrection of the dead. Author Hugh T. Kerr in Preaching in the Early Church has observed that the resurrection is "the trumpet note of Apostolic preaching." (p. 38). "They saw triumph in the Resurrection. It was the Resurrection that revealed the triumph of the cross; it proclaimed the Redeemer in the horizon of his glorious Divine Sonship. It proved his power over the last enemy-- death .... They preached a Christ who was Conqueror, and his face alive and glorious was never absent from a single sermon. All their preaching was in the key of the Resurrection. The decisive battle was already won" (p. 99). The Apostle Paul stated "For the wages of sin is death, but the gift of God is eternal life through Jesus Christ our Lord." (Romans 6:23). Jesus Christ, the Creator of all things, has made an incredible promise to resurrect both the wicked and the good. He will call every person by name on the day of the general resurrection, and those who know Him will be made to stand up to receive immortality as a gift, and those who don't know Him will be made to stand up to be judged for their works. Judgment for those without Christ will vary according to the deeds done in this life. Punitive justice will be far more severe for the very wicked than it will be for others. When punitive justice has been meted out by God, the unrighteous will be handed over to die a second time, an event the Scripture calls "the second death" (Revelation 20:14). "Behold, I tell you a mystery: We shall not all sleep, but we shall all be changed—in a moment, in the twinkling of an eye, at the last trumpet. For the trumpet will sound, and the dead will be raised incorruptible, and we shall be changed. For this corruptible must put on incorruption, and this mortal must put on immortality. So when this corruptible has put on incorruption, and this mortal has put on immortality, then shall be brought to pass the saying that is written: 'Death is swallowed up in victory'" (1 Cor. 15:51-54). Paul makes it clear that God does not bestow immortality upon the believer at death, but at the resurrection. It is then that "this mortal" shall "put on immortality." While John writes that we are chosen to receive the gift of eternal life when we believe on Jesus Christ (1 John 5:11-13), the actual realization of this gift takes place when the last trumpet sounds and Christ returns to "raise the dead." Those who believe in conditional immortality understand that to die in this life does not mean a cessation of existence. Physical death is only a state of temporary unconsciousness until the resurrection that Christ promised (John 5:28-29). The Bible repeatedly calls this intermediate state between death and the resurrection "sleep" (see I Kings 2:10; II Chronicles 21:1; Job 14:10-12; Psalm 13:3; Jeremiah 51:39; Daniel 12:2; I Corinthians 15:51-52; I Thessalonians 4:13-17; II Peter 3:4 as examples). Though the notion that a human being is not naturally immortal may sound strange to modern evangelical ears, the major question that should be asked is "Does the Bible teach conditional immortality rather than natural immortality?" If, as one concludes that the Bible does indeed teach conditional immortality, then the second question Christians often ask is, "Are there other Christians throughout the centuries who have believed the Scriptures teach conditional immortality?" The answer is a yes. Conditional immortality has been believed by many Bible-believing Lutherans, Anglicans, Baptists, Congregationalists, Presbyterians, Methodists and other Christians throughout the centuries. Some of these Christians include Martin Luther, William Tyndale, John Frith, George Wishart, Robert Overton, Samuel Richardson, John Milton, George Wither, John Jackson, John Canne, Archbishop John Tillotson, Dr. Isaac Barrow, Dr. William Coward, Henry Layton, Joseph N. Scott, M.D., Dr. Joseph Priestly, Peter Pecard, Archdeacon Francis Blackburne, Bishop William Warburton, Samuel Bourn, Dr. William Whiston, Dr. John Tottie, Prof. Henry Dodwell, Bishop Timothy Kendrick, Dr. William Thomson, Dr. Edward White, Dr. John Thomas, H.H. Dobney; Archbishop Richard Whately; Dean Henry Alford, James Panton Ham, Charles F. Hudson, Dr. Robert W. Dale, Dean Frederick W. Farrar, Hermann Olshausen, Canon Henry Constable, William Gladstone, Joseph Parker, Bishop John J.S. Perowne, Sir George G. Stokes, Dr. W.A. Brown, Dr. J. Agar Beet, Dr. R.F. Weymouth, Dr. Lyman Abbott, Dr. Edward Beecher, Dr. Emmanuel Petavel-Olliff, Dr. Franz Delitzsch, Bishop Charles J. Ellicott, Dr. George Dana Boardman, J.H. Pettingell; twentieth century—Canon William H.M. Hay Aitken, Eric Lewis, Dr. William Temple, Dr. Gerardus van der Leeuw, Dr. Aubrey R. Vine, Dr. Martin J. Heinecken, David R. Davies, Dr. Basil F.C. Atkinson, Dr. Emil Brunner, Dr. Reinhold Niebuhr, Dr. T.A. Kantonen, and Dr. D.R.G. Owen. It would be well worth your time to Google any of the names above and read their writings online. It is very unwise to accept the teaching of someone else without critically examining the issue for yourself. "We are to search the Scriptures," we are told, "for in them we will see testimony of Christ." Your life - in it's essence, existence, and sustenance - rests in the power and authority of Jesus Christ. He holds the "keys of life and death" (Revelation 1:18). 1. The resurrection from the dead is the "Christian hope." If resurrection occurs at the same time for all those who died in Christ during all generations, then everyone is raised from the dead at the same time. That means our loved ones will be raised by the power of Christ - to enjoy the blessings of Christ - on the same day we are raised from the dead (or) on the same day we "are caught up to be with Christ" (I Thessalonians 4:17) if we're alive when He comes. 2. When you close your eyes in death, the next conscious thought you have - a thought which is instantaneous to final closing of your eyes - is the hearing of Christ's voice (John 5:28-29) when He calls your name to raise you from my grave. It's like going to sleep before surgery. You close your eyes and the next thing you know is you are awakened. From your perspective, the awakening is instantaneous to the closing of your eyes, regardless of how much time has passed. 3. When the bestowal of the gift of life eternal is tied to the resurrection, then the resurrection of Jesus Christ as the first fruits of all those who rise in Him to becomes the center of Christian teaching. It is the resurrection to eternal life that was the preaching of the apostles and the early church (see I Corinthians 15). Without the resurrection, our faith is in vain. 4. It is only with an understanding of conditional immortality that one can comprehend that the rewards of Christ are received equally by all those who are raised in Him (e.g. "for we are co-heirs of Jesus Christ" Romans 8:17), while the punishments of the wicked will vary accordingly and proportionally to the evil the wicked have done in this life. 5. "But the wicked will be utterly destroyed" (Psalm 37:38), and "the righteous will walk on the ashes of the wicked in that day" (Malachi 4:3). Conditional immortality allows for the judgment of the wicked to vary according to their sins - sins which will be exposed and punished by a righteous God who takes vengeance on evil doers punitively, personally, and proportionally. In the end, after judicial punishment, the wicked will be handed over to "the second death." Whether you agree with Luther, Stott, Hughes and other evangelicals who teach that immortality is conditional, my prayer is that the anastasis of the dead will become central in your preaching and teaching, and you will not succumb to the common error of assigning immortal life to people without the vivifying and sustaining grace and power of our Lord Jesus Christ. I have the privilege of knowing many Christian women who love Jesus, believe the Bible, respect their husbands, and have a strong distaste for any beliefs or behaviors that contradict the Scriptures. I have empathy for the struggle these Christ-honoring women have with those who advocate "gender equality." They have long heard the significant men in their lives, including their pastors from the pulpit, declare the Scriptures teach that though women are equal in worth to men, they are not equal to men in authority. Men, it is declared, are designed by God to be "over" women in Christ's church, are the God-ordained authority in Christian families, and are the ones to whom Christian women are to "submit as unto the Lord." If you are one of those women who struggle with the notion of gender equality because you believe it contradicts the Scriptures you love and the Lord you serve, then I would encourage you to read this short primer from a man who loves the Scriptures as much as you (and believes them to be the inspired and infallible Word of God), desires to honor Christ in his family and his church, and has as strong of a distaste for beliefs or behaviors that contradict Scripture as you. In other words, I am a conservative, Bible-believing, Christ-honoring, evangelical - just like you. There are 5 important things I want to remind your identity as a Christian woman. 1. The only spiritual authority in your life is Jesus Christ, for you are called a "priest unto God." 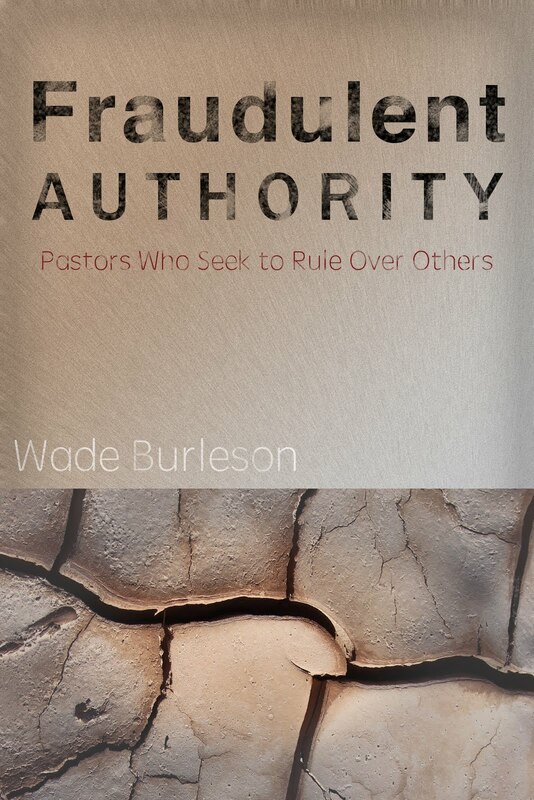 Christian men who teach that Christian women are "under the spiritual authority" of another man - be it their husband, or their pastor, or their father - have substituted the authority of a man for the authority of Christ. When the Bible calls a Christian woman a "priest unto God" (Revelation 1:6; I Peter 2:5), it means that nobody comes between you as a woman who follows Jesus and Jesus' authority in your life. There will always be gifted men and women who come alongside you to encourage you, to give you wisdom, and to help you in life - but nobody else has authority over you. The world lives by the concepts of authority and power, granting positions of power and authority to people so that they can rule over and control others. Jesus said to His followers, "This is not the way it shall be among you. Whoever wishes to be great among you must become your servant" (Matthew 20:25-26). Notice, Jesus did not say the great ones in His church are His servants; Jesus said the great ones in His church are your servants. Meaning, any man who demands your submission and uses power or authority to dominate and rule over you is contradicting the teachings of Christ, and is a man that should be resisted for his own good. 2. You are no more released from the obligation to love your husband than your husband is released from the obligation of submitting to and serving you. When the Apostle Paul gives instructions for how a Christian man and woman are to relate to one another in the family and the home (see Ephesians 5:21-33), he says that husbands and wives are to love each other as Christ loves the church and to serve each other as Christ serves the church. For some reason, evangelical conservative men who love the Scriptures unintentionally skip or ignore Ephesians 5:21, where Paul says we all - men and women - are to submit to one another by serving one another. It's almost as if conservative, Bible-believing Christian men and women think that the role in marriage is for the husband to love, and the wife to submit. No, not at all. The role in a Christian marriage is for both the husband and wife to love each other and to submit to each other. In a shame-filled, curse-filled home, the husband and wife will attempt to manipulate and control the other person, always fighting to get ahead and above the other. But in a grace-filled home where Christ is Lord, the man and the woman are always seeking to serve the other, fighting (if you will) to come under and support the other person. (See this article for a more detailed explanation of a curse-filled home). By the way, for the man who says, "But if I serve my wife, then I'm not reflecting Christ's power and authority over the church. When does Christ ever serve the church?" - Answer: Jesus Himself says that in His Kingdom, He (Jesus Christ) serves His church (see Luke 12;37). Therefore, the Christian husband is just as obligated to serve his wife, as his wife is obligated to love her husband like Christ loves the church. It's mutual love, mutual submission, and mutual servanthood. 3. The image of God is as much seen in the woman He created, as it is in the man He created. In Genesis 1:27 it is said, "So God created man in his own image, in the image of God he created him; male and female he created them." The male and the female were created by God. The male and the female both bear the image of God. The male and the female are both included in the Hebrew word adam (man) -"So God created (adam )... He created them." Notice that God says "so that they (the man and the woman) rule over the animals.…" (Genesis 1;26). The male and the female were both designed by God as equals in the co-regency of the world God created. Any system, any society, any organization that places one gender as an authority over the other, whether it be patriarchal or matriarchal in nature, is a direct violation of the command and design of the Creator God. When God calls and gifts a person to accomplish a task, restrictions to the accomplishment of that task never take the form of gender. The notion that women can't do some spiritual things that men can do in the church or in the home - like teach, lead, etc. - is a contradiction of the Scriptures themselves. 4. Your identity and worth as an individual should come solely from who you are by the grace of God in Jesus Christ, and not your marriage. Jesus said, "At the resurrection, people will neither marry nor be given in marriage..." (Matthew 22:30). Marriage is something that is not eternal. At some point, marriage will end for everyone. If a Christian marriage comes to an end, it is possible for the newly single Christian to find the same fulfillment and joy here and now that he or she will experience eternally. A divorcee who trusts Christ, a graced widow or widower, or even Christian singles who have never married have as much personal value, identity and significance as any married Christian. In fact, it might be said that there is an advantage for the Christian who is not married; he or she has the opportunity to understand how to function individually now as Christ intends us to function eternally in the resurrection. . Since all marriages will one day end for everyone, then there should be little emphasis on the form of one's family, and a much greater emphasis on the function of individual Christians within whatever kind of family unit they are in. What is our function or purpose as followers of Jesus? We are to love others as Christ has loved us (John 13:34). When we learn to function in love, we never fail; even though the form our family once took has come to an end (I Corinthians 13:8). 5. Discover how God has gifted you, love and serve other men and women, and never back down from a servant leadership role, even if you find yourself leading men. For years I have sought to show that the teachings of the New Covenant Scriptures and the emphasis of Jesus Christ concerning leadership and service in the Christian church and Christian homes is based on giftedness and not gender. Your identity as a Christian woman is found in the grace of God in Christ, and His callings and gifts to you. Avoid placing restrictions on yourself because you are a woman. May God, by His grace, set you free to be. One of my favorite verses is Luke 24:27 where Jesus walks with two men on a road to Emmaus, and as they walk, Jesus quotes the Scriptures (what we now call the Old Testament), and "beginning with Moses and all the Prophets, He explains to them what was said in all the Scriptures concerning Himself" (Luke 24:27). Everything in the Old Testament points to Jesus Christ. If our teaching of Scripture doesn't center on the Person and work of Jesus Christ, then we have missed the message of the Bible. Let me put it another way. If in a desire to be "relevant" to a generation of people ignorant of the Bible, we deliver a message to others void of Jesus Christ - in other words, we attempt to improve peoples' lives without reference to Jesus Christ's work on their behalf - then we have preached a vapid message that actually changes nobody. 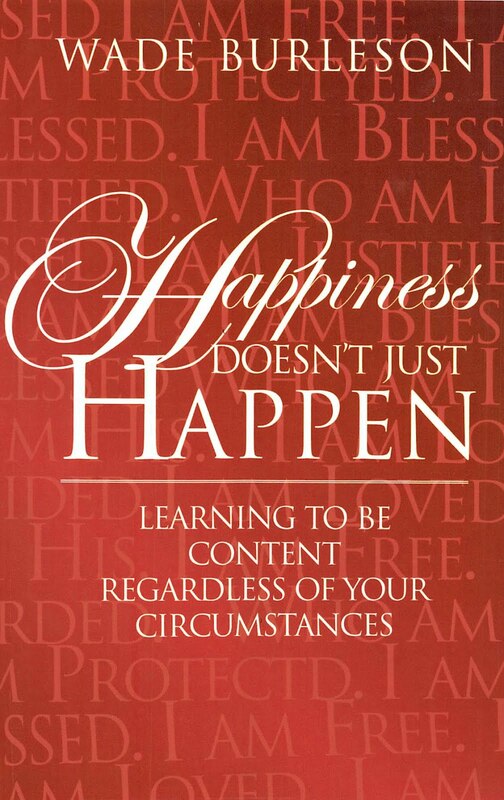 The grace of God in Christ is the sole message that allows people to discover "contentment whatever the circumstances" (Philippians 4:11), and it is the only message that sets sinners free. Notice the Scriptures Jesus used as He taught others about Himself. "Beginning with Moses and all the prophets." All the prophets; not some. All. These prophets wrote the last 17 books of the Old Testament; probably some of the most ignored books in the Bible, but Jesus used them to explain "what was said in the Scriptures concerning Himself" (Luke 24:27). The first 17 books of the Old Testament are books about the history of Israel, from the creation of Adam (4000 B.C.) to the rebuilding of the Temple and the walls of the city of Jerusalem (400 B.C. ), which had been destroyed by the Babylonians (586 B.C.). The next 5 books of the Old Testament are books of poetry (Job, Psalms, Proverbs, Ecclesiastes, Song of Solomon). 17 books of history, 5 books of poetry, 17 books of prophecy. (5 - 12) - 5 - (5 - 12). The first 5 books of Old Testament history are called the Pentateuch (or "the five books of Law"), also known as the 5 books of Moses (Genesis, Exodus, Leviticus, Numbers, Deuteronomy ). The next 12 books of history deal with the nation of Israel to (400 B.C.). The time break between the close of Old Testament Scriptures and the coming of Christ in the beginning of the New Testament is approximately 400 years. During this inter-Testamental time period of silence, religious sects like the Pharisees and the Sadducees arise in Israel, which is why you don't read about them in the Old Testament history of Israel. So the 17 books of history can be further broken down into 5 - 12. Then come the 5 books of poetry. Finally, the 17 books of prophecy that close Old Testament, just like the first 17 books of history that open the Old Testament, can also be broken down 5 - 12. The first 5 books of prophecy (Isaiah, Jeremiah, Lamentations, Ezekiel, Daniel) are called the Major Prophets, and the last 12 books of prophecy (which are also the last 12 books of the Old Testament) are called the Minor Prophets (Hosea, Joel, Amos, Obadiah, Jonah, Micah, Nahum, Habakkuk, Zephaniah, Haggai, Zechariah, Malachi). All the prophets prophesied to Israel during a period of approximately 500 years, between the death of Solomon (931 B.C. ), which resulted in the split of Israel into the northern kingdom (Israel) and the southern kingdom (Judah), to the close of the Old Testament history of the Jews (400 B.C.). All the prophets, both major and minor, either prophesied to the northern kingdom of Israel or the southern kingdom of Judah. The Minor Prophets are called "minor" not because their message is less important, but because their books are shorter than the books written by the five major prophets. Jesus said all the prophets - their stories, their messages, their lives, their situations - teach us about Him. Let me show you how Jesus is portrayed in all the prophets by using the prophet Amos as an example. "The words of Amos, one of the shepherds of Tekoa—the vision he saw concerning Israel two years before the earthquake, when Uzziah was king of Judah and Jeroboam son of Jehoash was king of Israel." (Amos 1:1). Remember, Amos prophesied to the northern kingdom of Israel. Of the 19 kings of northern Israel, not one of them was righteous. They were all evil. But before God fulfilled the promised judgment of sending a foreign nation upon northern Israel to destroy them for violations of His covenant, God sent to them various prophets, including Amos, to urge Israel to repent and to warn Israel of their impending judgment if they did not. Amos beautifully pictures Jesus Christ in His ministry to Israel. 1. Both Amos and Jesus Christ were resisted by the priests of Israel. “Then Amaziah the priest of Bethel sent to Jeroboam king of Israel, saying, ‘Amos has conspired against you in the midst of the house of Israel. The land is not able to bear all his words.’ … Then Amaziah said to Amos: ‘Go, you seer! Flee to the land of Judah. There eat bread, and there prophesy. But never again prophesy at Bethel” (Amos 7:10-13). 2. Amos, like Jesus Christ, came from a humble background. “Then Amos answered, and said to Amaziah: ‘I was no prophet, nor was I a son of a prophet, but I was a sheep breeder and a tender of sycamore fruit. Then the LORD took me as I followed the flock, and the LORD said to me, “Go, prophesy to My people Israel” (Amos 7:14-15). 4. Amos, like Jesus Christ, was a master teacher who used vivid illustrations in his teaching style. Like Christ, Amos would use nature; birds, flowers, and a host of natural, everyday things to help Israel see God's mercy and righteous judgment (see Amos 3). 5. Amos, like the Messiah, claimed divine inspiration. Amos uses the phrase, “This is what the LORD says” about forty times in his book. Jesus declared, "He who has seen Me has seen the Father" (John 14:9). 6. Amos, like the Messiah, was charged with treason (Amos 7:10; John 19:12). 7. Amos, like Jesus Christ, decried the selfishness of the wealthy (Amos 6:4-6; Luke 12:15-21). 8. Both Amos and Jesus Christ came to declare God's mercy to the nations. This mercy is seen in the Person and work of Jesus Christ in establishing a New Covenant (agreement) with the world, not just the Jews (see Acts 15:16-17 and Amos 9:11-12; also see Acts 7:42-43 and Amos 5:25-27). But the stunning manner in which Amos is a picture of Jesus Christ is found in the timing (Amos 1:1) of Amos' message judgment to northern Israel (Amos 3:11-12) which perfectly matches the timing (Matthew 24:1-3) of Jesus Christ's message of judgment to descendants of Judah (Matthew 24:34-35), who in Jesus' day had assumed the name "Israel" and were called "Jews." In Amos 1:1, we are told Amos prophesied the destruction of northern Israel "two years before the earthquake." Oklahoma is now the nation's center for earthquake shaking. We have more earthquakes than any other place in the world. Last week, we had a 5.8 magnitude quake, which shook our house to the point Rachelle and I thought about evacuating! But... for an earthquake to strike Israel in the days of Amos and be described as "THE earthquake," then that earthquake must have been a big one. Archaeologists excavating the ancient city of Hazor in northern Israel tell us that the earthquake referenced in Amos 1:1, was an 8.0 magnitude earthquake, and it occurred in 760 B.C. - a date that precisely aligns with the the reigns of King Uzziah of Judah and King Jeroboam II Israel, both of whom are mentioned in Amos 1:1. Now we can precisely date the prophecy Amos regarding the destruction of Israel as 762 B.C., which is "two years before the earthquake" (Amos 1:1). 40 years after Amos' prophecy, in 722 B.C., (a generation among the Jews is 40 years), Assyria - the world's first great empire - descended from the north and devastated northern Israel. The Assyrians took the men of the 10 northern tribes of Israel into captivity, desolated the major cities of northern Israel (Dan, Bethel, Samaria, etc...), then brought in pagan men to intermarry the Israeli women. The descendants of these mixed marriages were called "Samaritans." The Jews in Jesus' day hated the Samaritans (e.g. abbreviation of "Judites" or people of the southern Kingdom of Judah). The Jews would avoid traveling through the territory (Samaria) of the Samaritans when they went from Jerusalem to Galilee, preferring to mingle in their travels to the festivals with the Gentiles on the eastern side of the Jordan rather than the "half-breeds" of Samaria on the western side of the Jordan River. But Jesus "had to go through Samaria" (John 4:4). during His ministry, because His mission was to bring "living Water" (John 4:1-14) to all people, in a Samaritan woman at the well that the Jews would shun as an outcast. Religious people reject those unlike them; Jesus comes to set half-breeds free. The stunning way in which Amos pictures Jesus is in this manner: Jesus did exactly what Amos did, and prophesied the destruction of Israel forty years before it occurred. In A.D. 30, Jesus told His disciples that the end of Israel was coming (see Matthew 24). Everything in Matthew 24 that Jesus said about the destruction of the Temple, Jerusalem, and the scattering of the Jews, exactly parallels the things Amos said 700 years earlier about the destruction of the cities of the northern kingdom of Israel and the scattering of the ten northern tribes. Even more fascinating is the fact that in A.D 70, exactly 40 years after Jesus prophesied the coming destruction, the Romans came to Jerusalem and desolated the Temple and the city of Jerusalem and scattered the Jews. This is exactly the same time (e.g. "a generation" see Matthew 24:34) that passed between Amos' prophesy of destruction (762 B.C.) and the fulfillment of the prophecy when the Assyrians came and desolated northern Israel (722 B.C.). Matthew 24 is a vivid prophecy of the end of the Old Covenant with southern Israel (the Jews) and the establishment of a New Agreement with the world, a prophecy of Jesus that is pictured perfectly through Amos' life and ministry. Those who view Matthew 24 as a picture of "the end of the world" have made the fundamental mistake of not seeing that everything in the Bible is about the Person and work of Jesus Christ to set sinners free! It's Christ's first coming that should be emphasized! Sure, He's coming again for you, me, and everyone else (you and I will die! ), but if our message is more about the world, politics, current events, culture, and the end of the world, than it is the Person and work of Jesus Christ to change lives now, then we've missed the message of the Bible. Jesus is the subject of the Bible, and "beginning with Moses and all the prophets" it is possible to see the Person and work of our Savior in ushering in a New Agreement whereby sinners who trust Him and His work are "right with God" and free from condemnation (Romans 10:1) through faith. This New Covenant is not a conditional covenant of promises and curses based upon our obedience, but it is an unconditional, eternal agreement where "all the promises of God has made are yes and amen in Christ" (II Corinthians 1:20). More importantly, this faith in Christ brings a union with God, whereby the person of faith becomes the "temple of the Spirit of God" (I Corinthians 6:19), and this life of God in the soul of man brings the power needed to transform any sinner from the inside out. Christ in us is our hope of transformation. We love people like He loves us; even our enemies (see John 13:34). "But whatever was gain to me I now consider loss for the sake of Christ. What is more, I consider everything a loss because of the surpassing worth of knowing Christ Jesus my Lord, for whose sake I have lost all things. I consider them garbage, that I may gain Christ and be found in Him, not having a righteousness of my own that comes from the Law, but a righteousness that comes through faith in Christ—the righteousness that comes from God on the basis of faith. I want to know Christ—yes, to know the power of His resurrection and participation in his sufferings, becoming like him in his death, and so, somehow, attaining to the resurrection from the dead." (Philippians 3:7-11). I (Wade Burleson) have been writing articles for Istoria for nearly fifteen years. During that time, only a handful of posts have attracted as many views in such a short period of time as last month's Open Letter of Concern Over MOPS International. Obviously, a number of people have an interest in the ministry of MOPS, and not a few are concerned about the direction of MOPS. Sarah Wilkins, whose testimony of coming to faith in Christ is extremely moving, works as our MOPS Outreach Director. Sarah has been the person responsible for our emphasis on outreach through our MOPS ministry over the last several years. Since the publication of Sarah's Open Letter of Concern regarding MOPS, she has been flooded with phone calls, emails, and requests for materials that she has put together in place of the MOPS International material for this fall. Using the same theme, Sarah has put together material that is more Christ-centered. She will send her materials to anyone who asks, free of charge. It's not in Sarah's personality to be a critic of MOPS. She is not a "fundamentalist" in the way that the word is usually cast. In fact, because of our grace perspective at Emmanuel, we are often called "liberal," and Sarah majors on grace. We love people, accept people where they are, and we focus on outreach. However, we also treasure Jesus Christ, and we believe that God's grace through the Person and work of Jesus Christ is the only hope for sinners in need of transformation. Grace transforms; and grace is never understood apart from clarity on the Person and work of Jesus Christ. We have a very specific reason for following up on Sarah's initial Open Letter of Concern regarding the direction of MOPS International. Since the August 12, 2016 publication of the Open Letter of Concern, some employees of MOPS have sent electronic communication, accusing Sarah of "factual misrepresentation" and suggesting that Sarah's Open Letter of Concern is "based on assumptions, and is no way an accurate assessment of MOPS materials." Further, an official with MOPS has written, "It is disturbing to us the body of Christ is choosing to gossip, slander, and...wound its fellow believers." In light of MOPS International's denial that anything is wrong with the direction of this fall's MOPS materials (EDIT: see MOPS International board of directors official response to Sarah at the end of this article), I have decided to publish Sarah's follow-up. I trust that if you are a pastor or leader in your church, you will not take Sarah's word (or mine), but you will do your own research. In our opinion, what is at stake is not one's perception of a book, a ministry, or even a blog, but the Gospel itself. This is a follow up blog to the Open Letter of Concern we initially published on August 12, 2016. Our MOPS group had our first meeting on September 1st. It was a joy. 76 women filled the chairs, and we know of at least 5 more who told us they could not attend the first meeting, but will be at the next meeting. 25 of the women raised their hands to indicate it was their first MOPS meeting to attend. 19 of them listed no church on their registration forms. It’s a brave thing to walk into a church building where you’ve never been, and to join a group of women whom you’ve never met. God is at work in the hearts of His people. The MOPS International Board of Directors contend that the 2016 MOPS material was written for the purpose of outreach in order to spark discussions among moms who don't know Christ and have no church experience (see their official response to me at the bottom of this page). Emmanuel’s first MOPS meeting this fall is proof that one does not have to downgrade the theological content of the MOPS material to reach more people. Quoting and emphasizing other belief systems will not make your church's MOPS group open to women who have no church background. Being intentional in getting to know and issuing invitations to all kinds of women in your community to attend MOPS will create an atmosphere where women with no church background are accepted. After thinking deeply about what was written in Starry Eyed, the companion book and online resources from MOPS, and after watching and reading the sources that heavily influence the book Starry Eyed, I realized my core issue with the MOPS curriculum this fall is how sin, truth and Biblical sufficiency are addressed in the materials. I also have realized that MOPS International seems to have become a major player in a loose trend within traditional Christian churches, a trend in which Truth is represented as something that changes and can't be known. It is a trend where sin is not addressed because personal salvation is deeply rooted in self transcendence. It is a trend in where anyone who takes the Bible as sufficient for one's faith and life is scoffed at as a closed minded and archaic person. This years’ Starry Eyed theme seems designed to help moms navigate through life's dark challenges, as well as to encourage moms to find hope. Much of the material seems based on the core views of people like John Philip Newell and Rob Bell. The teaching of these two men are linked below for your viewing. When I spoke to Mandy via phone, I directly asked her about her view on sin. She was nice to me over the phone, and even offered to fly me to Denver to speak on Emmanuel's outreach successes through MOPS, as well as our outreach strategies. But Mandy didn't answer my question on her view of sin. She did talk to me about next years theme, but my heart grew even more troubled by what I heard. There seemed to be deep theological differences between her theology and my understanding of biblical Christianity. Those differences may even be irreconcilable. because it seems to me through hearing Mandy's own words, her views are entrenched. After listening to Mandy's review regarding next year's MOPS theme, I felt compelled to ask her again about her view of sin. Mandy would not speak to me about sin, and it seemed to me that because I pressed for an answer, I was the problem. Our church has partnered with MOPS for over 20 years in ministering to women, and to ask the President of MOPS her view on sin seems like a question that MOPS partners should be able to ask. "One of my favorite books is The Rebirthing of God: Christianity’s Struggle for New Beginnings by Celtic mystic John Philip Newell. It is only this chapter in Mandy's book, but it seems that a large chunk of Starry Eyed is devoted to the thoughts of John Philip Newell. This man does not believe in sin. This man writes and speaks that at birth “We forget our deepest truth.” Newell believes Jesus came to help us remember, and that our goal on earth is to become one with each other, with created things, and with nature itself. 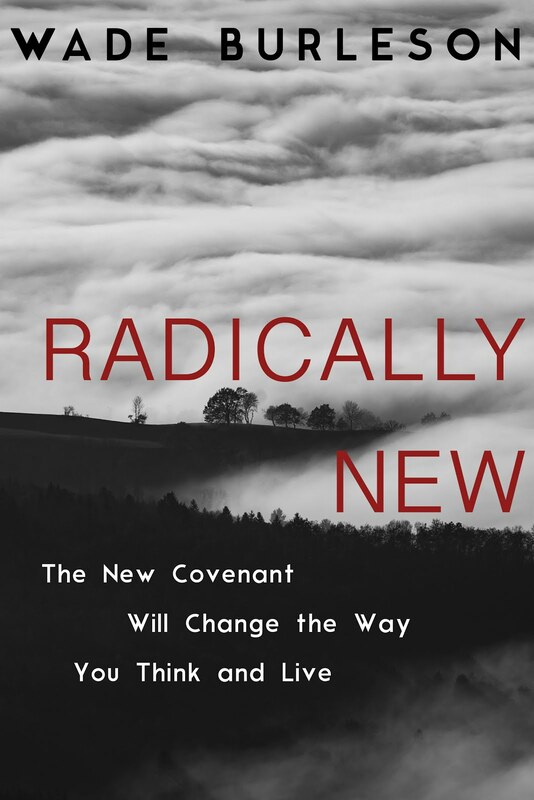 Newell teaches in opposition to original sin and the sufficiency of Scripture. This YouTube video of his teaching from February 7, 2016 at a Price Lecture series is a succinct delivery of his non-biblical beliefs, many of which are incorporated into this years MOPS book. At the end of the 45 minutes presentation, John Philip Newell and the participants all chant verses from the Koran, Hebrew texts and the sayings of Jesus, as if they are all on equal footing. I suggest those in doubt to read the book and watch the videos. You might be wondering why I’m concerned over Newell and his teachings. Mandy Arioto has been traveling the country speaking. Recently in Arizona, Mandy focused heavily in her speech on mysticism where she referenced John Philip Newell. A mentor mom from Arizona emailed me this information. She had gone to hear Arioto speak, and she told me she was sickened by the content of the speech and the absoluteness in which it was delivered. This mentor mom had gone to Mandy's speech having never seen our original Open Letter of Concern. I found MOPS whole strategy this year to sound strikingly similar to the description of Newell’s The Rebirthing of God. Did you know that Newell teaches at the ILLIFF School of Theology in Denver? Did you know that MOPS is paying for employees to go to seminary? I’m left wondering if it’s the one where Newell teaches. I can prove that this years’ MOPS’ material, based on Newell's ideology, is outside of MOPS International's Statement of Faith. How? Newell speaks openly and often about how his ideas come from Pelagius whom he devoutly follows as an admired mystic. Church history records Pelagius as a heretic from A.D. 420. He was accused by Augustine of Hippo of heresy and tossed out by the Council of Carthage. Seminaries to this day have students write essays about this Pelagius' heretical belief system. Newell (and Pelagius) are not the kind of men I want influencing my moms who are without the Holy Spirit. St. Augustine of Hippo wanted to protect his flock from Pelagius. He and I have something in common to chat about in eternity. It’s worth noting that Newell's and Rob Bell’s belief systems are strikingly similar. Rob Bell even writes a glowing review printed inside Newell’s book. Though I appreciate that the MOPS Board of Directors have said they will be reviewing the MOPS content more closely to make sure it is not as controversial as this year's material, I think one of their main jobs is to set and maintain MOPS Internationals Statement of Faith. After all, the MOPS Statement of Faith is supposed to be the basis of our partnership contracts. MOPS partnership churches from all over the United States have come to their own conclusions on the materials and have been emailing me to get replacement materials and board contacts to write the board of directors. I don’t believe healthy discussion is Mandy Arioto’s goal. I think Mandy thinks we have it all theologically wrong. I think she thinks we all need to be exposed to Newell’s, Bells’ and mysticism's higher ways of thinking. MOPS and the board knew this controversy would happen in May when they released the Starry Eyed theme to our MOPS coaches. Many coaches quit. Seven coaches in Illinois quit after their concerns were ignored. Many of these coaches wrote letters to the board and received no response. Instead of keeping the well-being of all MOPS groups in mind and focusing on how MOPS groups can join together for a common cause, MOPS seems to have decided moms really needed to hear this year's message. There are other controversial thinkers and teachers of beliefs contrary to MOPS Internationals statement of faith in the book Starry Eyed. According to the letter from the board, MOPS believes these mystical ideas are a good way to spark conversation within MOPS. In addition to Rob Bell (modern day controversial teacher), the material references is Carl Sagan, Albert Schweitzer (a mystic against justification by faith), and Carl Jung (the father of self-actualization). This is the time to write more letters to MOPS International. This is the time to read the source material and watch the videos for yourselves. This is the time to take action and ask your ministry partner MOPS to be transparent in theological matters and enforce MOPS' Statement of Faith or change it. Listen for yourself to John Philip Newell's lecture on Listening for the Heartbeat of God: An Introduction to Celtic Christianity. Listen for yourself to Rob Bell's lecture on Everything Is Spiritual. Thank you for taking the time to share your thoughts about MOPS and our 2016 materials. It is clear from your letter that you are passionate about MOPS as a vehicle to point moms toward Jesus. The MOPS board of directors and leadership team share that passion. This has always been the bottom-line mission of MOPS. The leaders' materials for the Starry Eyed theme state very clearly that a variety of resources are provided as springboards for deeper conversation about individual relationships with Jesus. We deeply value the trust that churches have in the resources that we provide. We regret that some of these materials designed to encourage discussion with moms who don't currently follow Jesus, have been interpreted instead as promoting a non-Christ-centered theology. This is not our intent. In the future, we will enhance our editorial process to more carefully screen for such potential misunderstandings. Additional evangelism and devotional tools surrounding this year's theme are available to all leaders via MOPS website. These include monthly devotionals, tips for sharing your Christian journey, Bible studies and more, for your group to download for your MOPS moms. Thank you for sharing your concerns. They have been heard. Rest assured that MOPS is still a very much gospel-centered mission. As we begin this MOPS year, we would ask that all MOPS leaders and groups unite under the vision of sharing Jesus with moms who don't know Him yet. This is the heart of MOPS. We can be Starry Eyed in this endeavor, with excitement and enthusiasm for this mission, with His light in our eyes and His strength in the darkness. 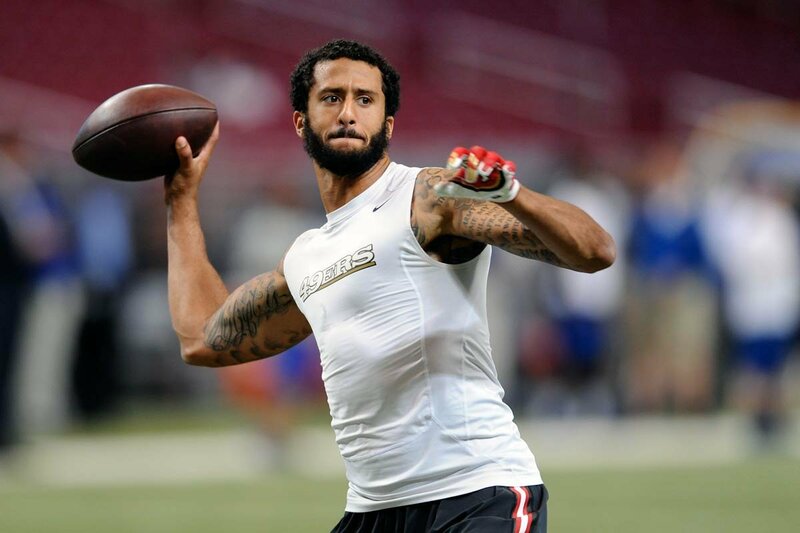 Colin Kaepernick is a quarterback for the San Francisco 49ers. Colin is refusing to stand before games during the playing of the Star-Spangled Banner, America's national anthem. He says his refusal to stand is because he "will not show pride in a flag for a country that oppresses people of color." I can't help but note the irony of a black quarterback making $126 million dollars to play football in America speaking about oppression. If Mr. Kapernick wants to see real oppression of people with color, he ought to follow us to Africa where we bring thousands of bags of rice to feed starving families, while at the same time spending tens of thousands of our America non-profit dollars drilling for water for our African friends, in conjunction with teaching them how to farm for themselves. All this effort because the country our African friends live in is a country filled with politicians whose greed blossoms into graft. That's oppression. One might overlook Mr. Kaepernick's refusal to stand for the Star-Spangled Banner if it were an isolated instance of ignorance. 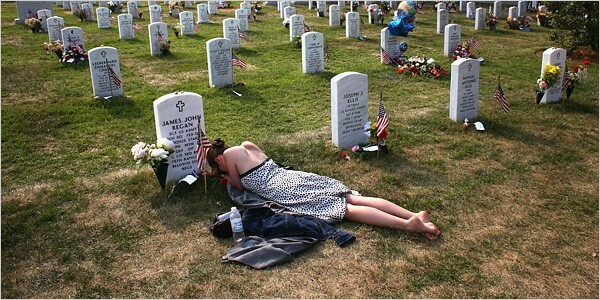 But there is a growing movement in America designed to relegate our national anthem into the pantheon of oblivion. 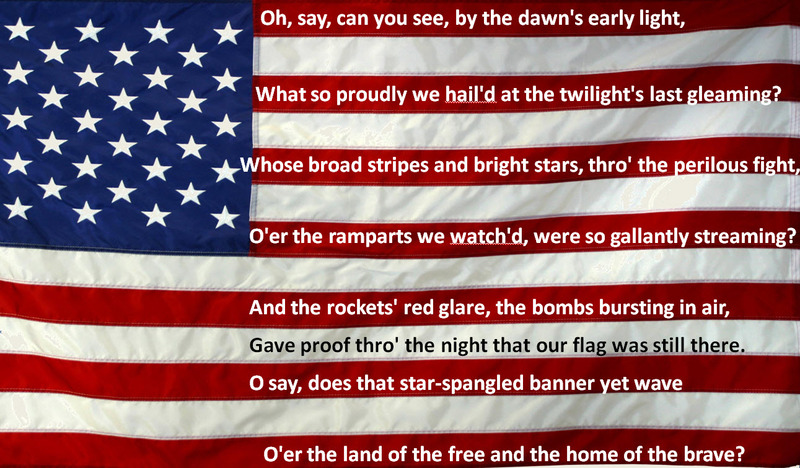 Some call the anthem's author, Francis Scott Key, "a stone cold bigot." They attempt to discredit Mr. Key because he once owned slaves. "How can you sing a song written by a racist?" Using their logic, America would also have to rid itself of the Constitution, the Declaration of Independence, and other founding documents because they too were written by men who once owned slaves, including the erudite Thomas Jefferson. Slavery, sadly, was once a part of this world's culture. Thank God people of color in America are now free. But before you acquiesce over attempts to discredit Francis Scott Key, and before you grow more sympathetic to those who ridicule or disrespect our national anthem, let me offer a few counter arguments about the character of the anthem's author. "He possessed a character of almost religious perfection. A firm believer in the Christian dispensation, Francis Scott Key's conduct was regulated by the doctrines inculcated by its Founder (Jesus Christ), and this being so, Key's life was one of perfect purity." Poetry is called "the soul's expression." 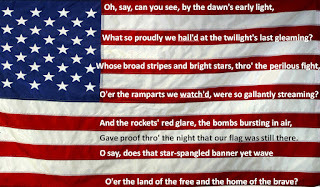 The author of our Star-Spangled Banner once wrote a poem that expressed his faith in Jesus Christ. It was later put to music and serves as a wonderful hymn in the Christian Church. Key's poem is called Lord, With Glowing Heart I'd Praise Thee. Can my love be warmed to praise. Bade the blood-stained cross appear. Bade thee look to Him and live. Praise the grace that whispered peace. Vainly would my lips express. Let my life show forth Thy praise. 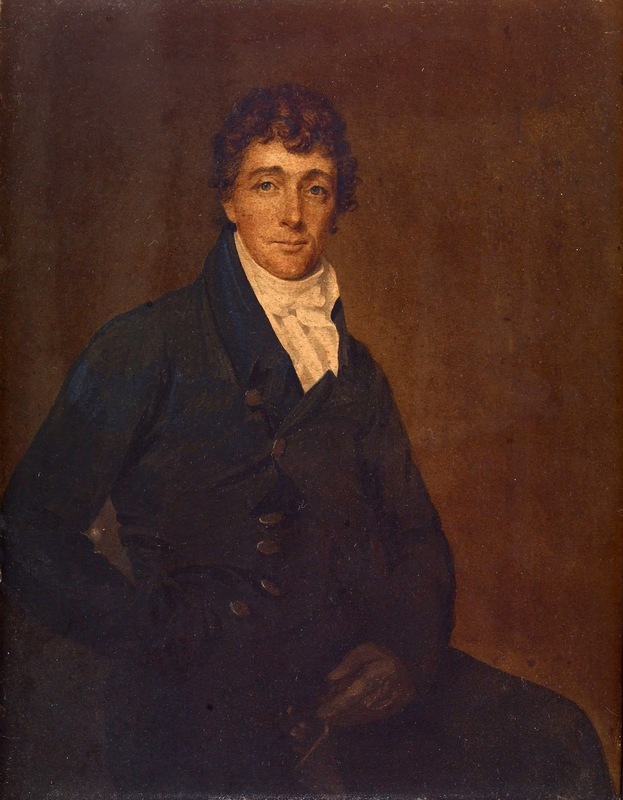 Francis Scott Key's life and legacy was one of Christian character. He loved all men, including people of color. In a day and age when people think they know things based upon what they learn from their Twitter feed and social media platforms, I would encourage all Americans to take a fresh look at the author of our Star-Spangled Banner and be impressed with our heritage as a country. It is worth standing up for.